Casual Sunday wear is my favourite type of outfit choice. Comfort is key and of course the weather in the UK always dictates the footwear. My ideal timetable for a perfect Sunday goes something like this… A late breakfast of bacon sarnies and fresh coffee, followed by a countryside walk with my Mister and the Dog. Then if it’s cold we retire to the nearest pub with a log fire and if it’s warm to the nearest pub with a pretty garden! This is my latest casual Sunday outfit, all of it apart from the shirt, is from one of my favourite brands JD Williams. I was worried my lovely new tasseled boots would get dirty! Sunday was freezing in Dorset, so we decided to go somewhere local (and sheltered from the wind) to take these pics. It is a very old Mill that still works and produces flour for local businesses. The area is low lying and there was plenty of evidence of recent flooding. I was worried my lovely new tasseled boots would get dirty! I do not wear skinny jeans, nothing wrong with skinny jeans by the way, they just dont suit me! I like to wear looser fitting straight jeans. These ‘Sadie’ jeans are very comfortable, soft and stretchy too. I am wearing a size 12 but could probably get away with a size 10, hallelujah! They have small distressed areas but not too many. 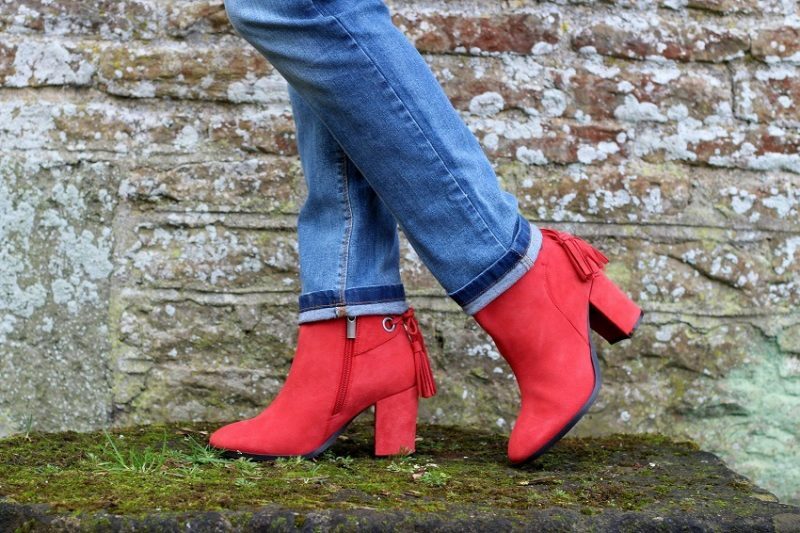 Yes real Suede outers and comfy padded inners with a stacked heel and tassels. Oh how I love everything with tassels at the moment. An easy side zip and nice and high on the ankles, I like that as it gives a nice support when you are walking in heels. 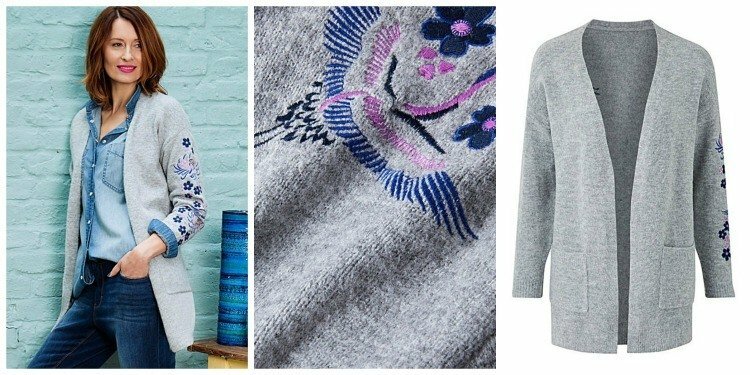 I couldn’t agree more, it’s warm and cosy plus the embroidered details look very pretty, dont you think? We didn’t feel like going out in the cold, but we did have some fun snapping each other… and we treated ourselves to a drink at the nearest pub. Can you believe this one is over 400 years old? Available up to a size 32. Available in wide widths too and go up to a size 9. 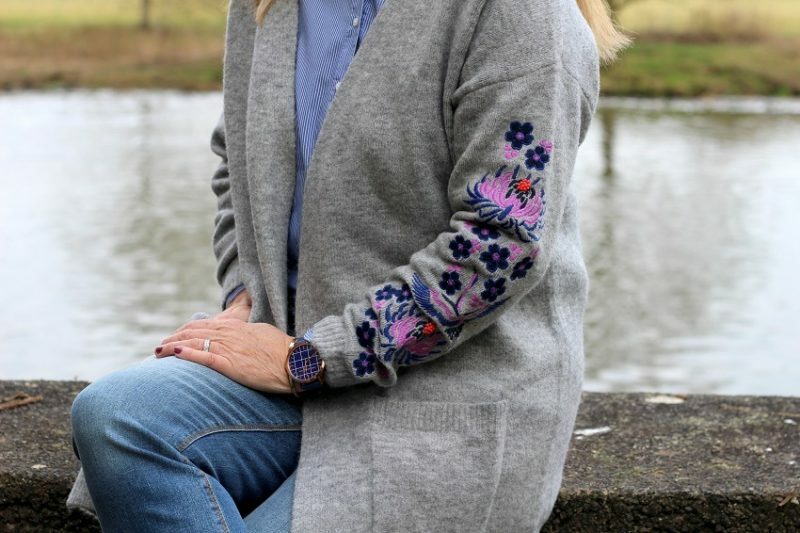 Do you have any favourite casual Sunday outfits? and Shelbee’s link up too! 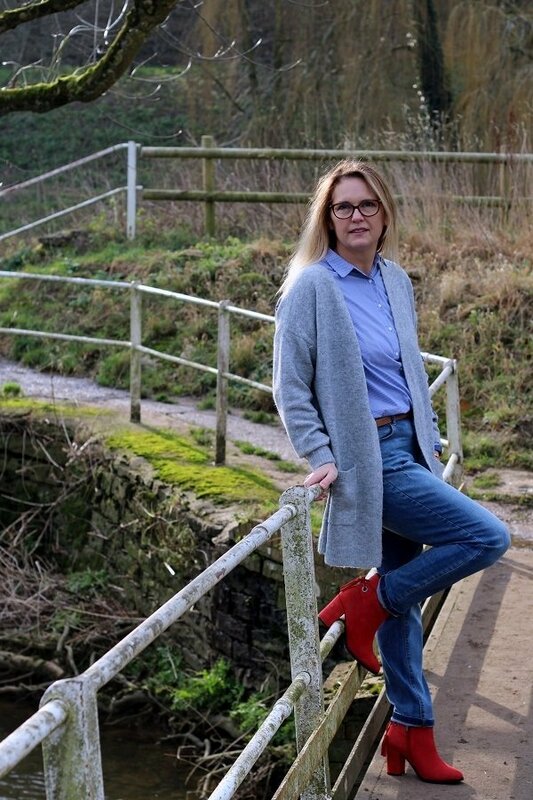 Jeans, boots and cardi gifted to me by JD Williams a brand I love and am proud to work with! Next Post What’s New at Habitat for Spring Summer 2018? 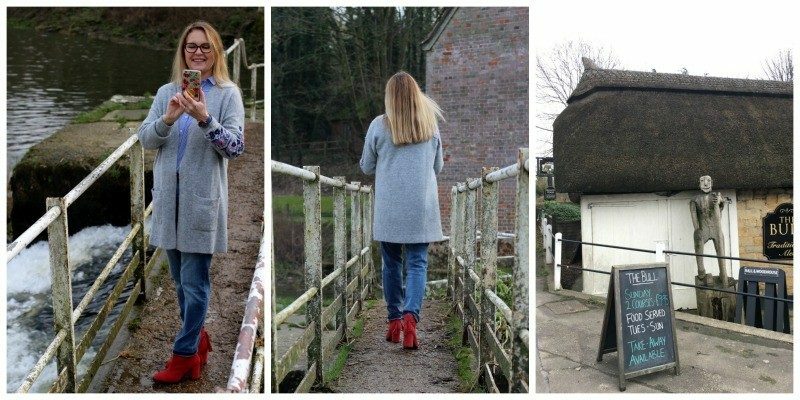 That cardigan and those red boots are amazing! Love them! Amy thank you very much luckily not only are they pretty but they are also warm and comfy! Ashley, I love this casual outfit that proves that easy doesn’t have to be boring! It’s all in the little details. 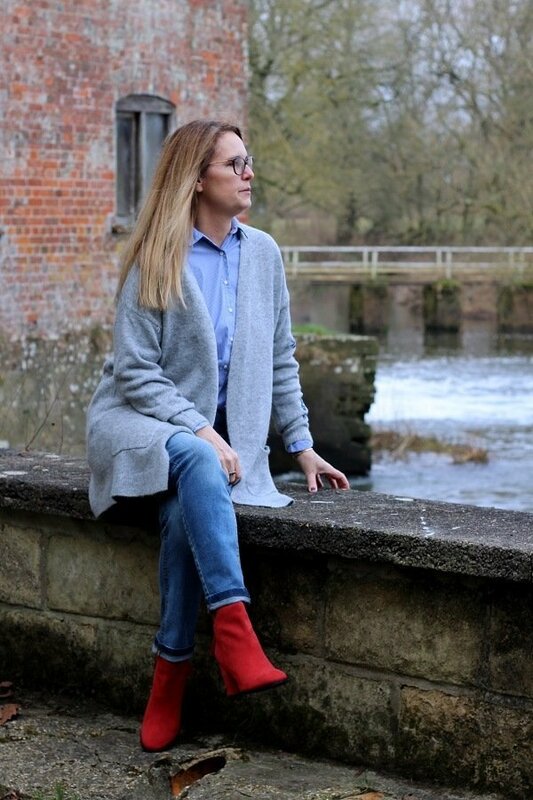 The embroidered cardigan is adorable and those red booties are simply fabulous! So pleased you like it and yes I agree it is all in the details and keeping it simple too! Aw, you look fabulous, love the red boots. Great post! I will pop over next thursday! 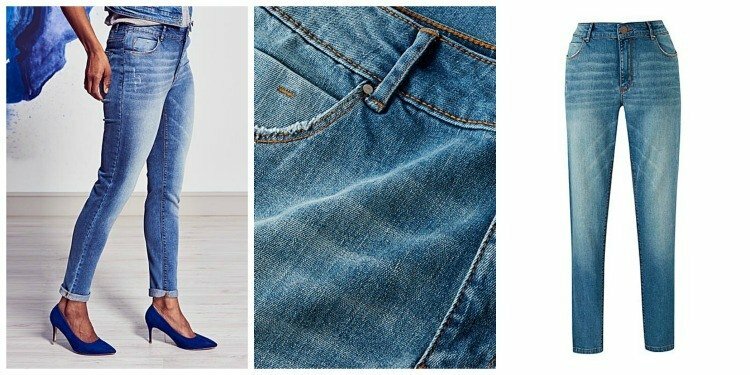 I have been searching for the perfect pair of jeans for spring I think this is it! I love that cardigan! 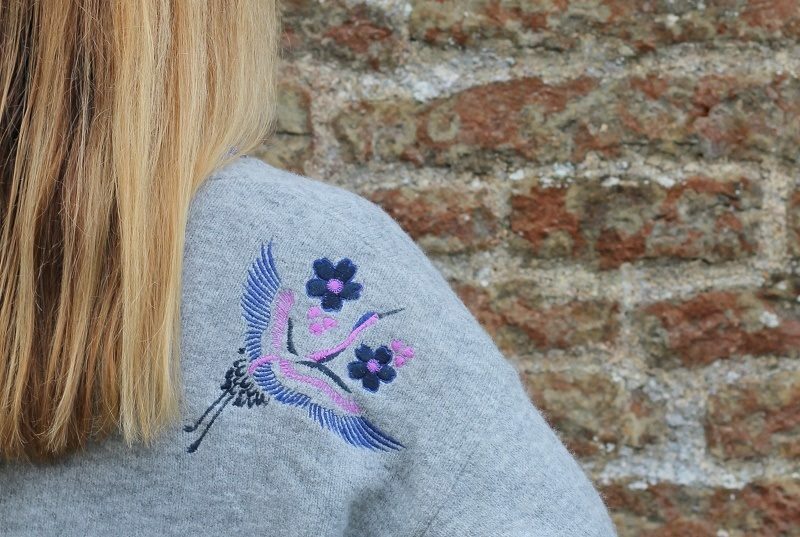 The embroidery is beautiful! 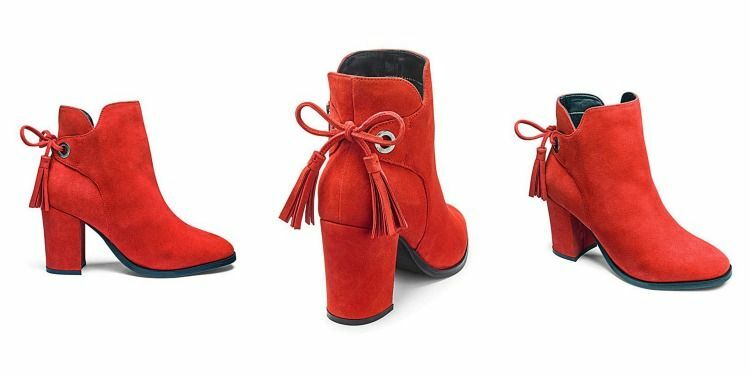 The red booties are so fun with it! Thank you laura The cardigan is nice and warm too! Than you, so nice to see a new face on here! I love your blog too!